GREEN BAY — Packers Head Coach Mike McCarthy said he has “no concern” for quarterback Aaron Rodgers’ availability for Sunday’s NFC North showdown in Minnesota. 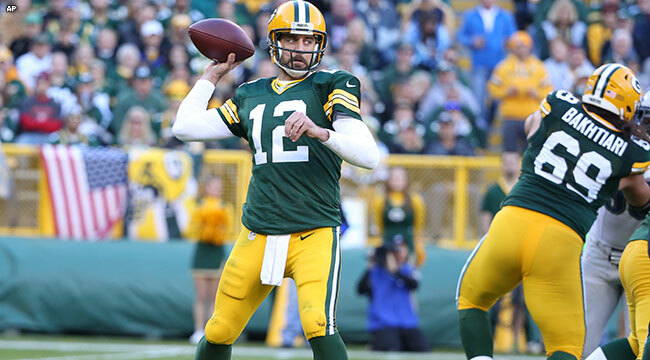 Rodgers is listed on the Packers’ injury report as having a sore right shoulder. McCarthy said he was not aware of when or how Rodgers sustained the injury. Rodgers threw 61 passes in the Packers’ 18-16 loss to the Lions last Sunday. Meanwhile, indications are running back Eddie Lacy will be recovered from the groin injury that caused him to miss the Lions game. “Eddie looked good yesterday. This would be good work for Eddie today. We’ll see where he is,” McCarthy said. “Our focus on offense is to perform better as a whole. This is not a one-player, one-position situation. We’re a lot closer than people might think we are. I thought we did a number of things better than the week before, so we have that to build on,” he added.